Understanding students' circumstances on the occasion of the Lunar New Year 2019 coming, LHU decided to organize "Tet buses" event, donating bus tickets to all students whose home is 100 kilometers and above from the University. 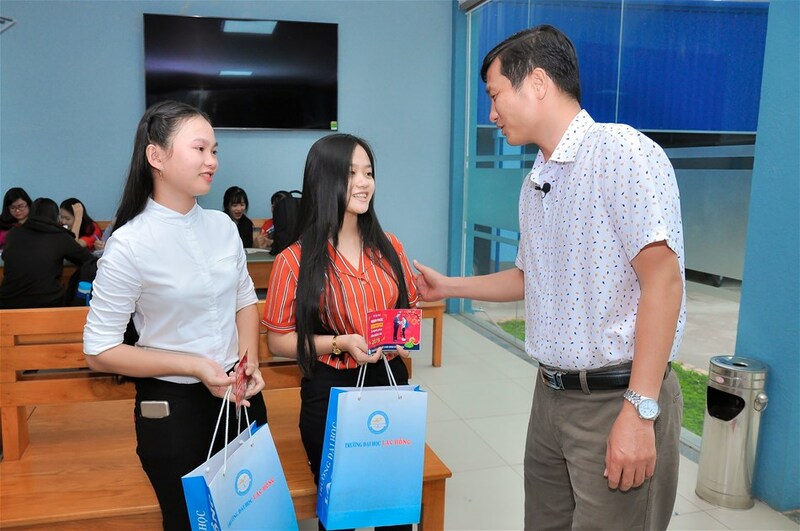 In addition, the University Management Board presents Tet gifts to students to have a warm spring. Based on the 2018 - 2019 school year schedule, LHU will organize a ceremony and offer buses to transport students to return home for Tet in two stages. Stage 1: January 14, 2019 (December 9) for students of course 2017 and before. Stage 2: January 28, 2019 (December 23) for students of course 2018. LHU's leaders always listen and understand the minds and aspirations to meet the needs of students not only in learning but also in spiritual life. LHU always considers "Happiness of students is happiness of LHU". They have so far been trying to preserve and promote the core values of LHU, aiming to provide students with the best learning environment and the most complete spiritual life.